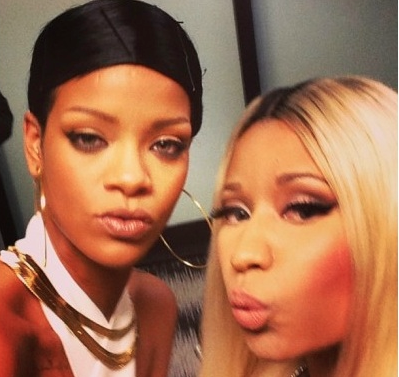 Nicki Minaj calls Rihanna the best fondler ever and her ideal woman. Nicki Minaj collaborated with Rihanna on her 2010 single “Fly,” and even though they alsofilmed a video for the clip, two of their, um, closest moments happened at awards shows. In an interview with i-D Magazine, Nicki revealed that Rihanna has gotten very hands-on with her in the past (and she wasn’t complaining about it either). Why are we not surprised that Rihanna is the “best fondler ever”?